What we wrote preseason: Bogosian got off to a tepid start in Buffalo after the trade with former head coach Ted Nolan skating him over 26 minutes/game. The following season with a new coach in Dan Bylsma, Bogosian settled in on the second-pairing with rookie Jake McCabe and at times were the best pairing on the ice. Last year didn't go as well for Bogosian as put up abysmal numbers in another injury-shortened season scoring a career-low two goals and equaling a career-low in points with 11. He missed 26 games while suffering knee and rib injuries and it took a while for him to get up to game-speed. Although Bogosian is only 27 yrs. old, his rambunctious play over the course of 534 NHL games is beginning to take it's toll and he still has a skill-set that can be put to good use. With a good training camp and, of course, barring injury, Bogosian should get the opportunity to use his skating and skill in a top-four role. What we wrote mid-season: The 27 yr. old Bogosian was injured to start the season. And in other news, the sun rose today. After a rather poor season last year under a different coach, there was much anticipation involved in Bogosian playing under a coach like [Phil] Housley who's system is predicated on an offensively involved d-corps. Bogosian has the speed, and the shot to be effective, but we've only seen him in eight games this year beginning on Dec. 1. During that time the Sabres went 2-3-3 which, sadly, is one of their better stretches of the season. With him and McCabe in the middle-pairing, the rest of the defense falls into place. Impressions on his play this year: There are two numbers above that Sabres fans are keying on when it comes to Bogosian--18 games played this year and 2019-20, the final year of his contract. Bogosian didn't have much opportunity to play his game this season as he was injured for nearly all of it. 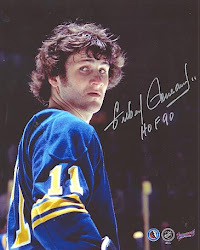 At least he had a good look at a highly disappointing Sabres season from afar. "As a group we need to find our consistency," he told the gathered media at locker cleanout, "every single day when you come to work you've got to understand that. To win in this league you have to be consistent." When he was asked about teammate Ryan O'Reilly's comment about losing being acceptable, Bogosian said, "I wasn't in the room a whole, whole lot but I think as a professional athlete, a competitive person you try not to let those thoughts get into your mind. But when you're in an environment where we were losing quite a bit, it's tough to pull yourself out. "As a group we have to do it together." And that includes him being on the ice. Questions moving forward: How much time will he miss this season? If his ice-time and 200' responsibility is pared back, will he stay relatively healthy? How much of an affect will his season-ending hip surgery have on his health? 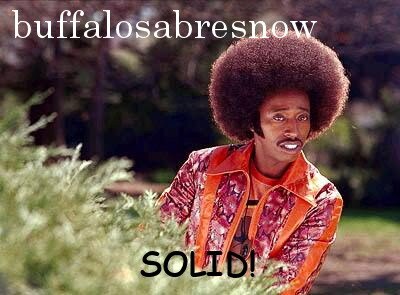 Would the Sabres consider buying him out this year? Can Housley finally get enough time with him to bring out his skating and shot? How much of a leader can he be on the ice and in the locker room to help this mix of players develop consistency?